BRYAN EATON/Staff Photo. 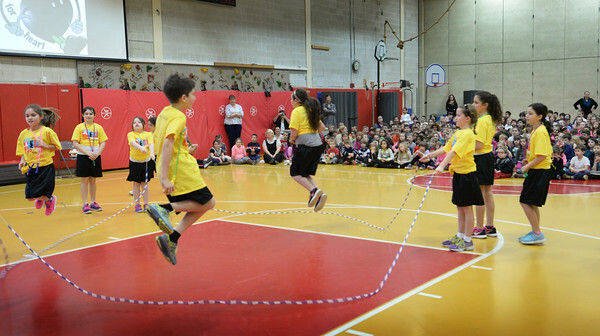 The Hip Hoppin' Hawks, fifth-graders from Londonderry, N.H. showed off their jump-roping prowess to the student body at the Cashman School in Amesbury. They were generating some excitement of the school's upcoming Jump-For-Heart which raises money for the American Heart Association.